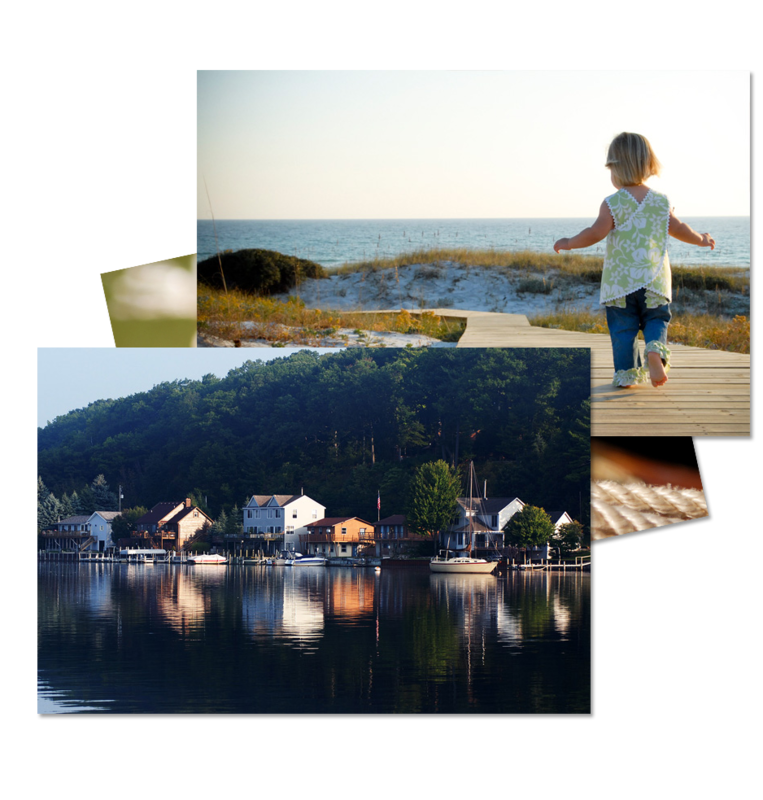 Welcome to Pentwater, Michigan – our state’s best kept secret, and one of its most delightful destinations. 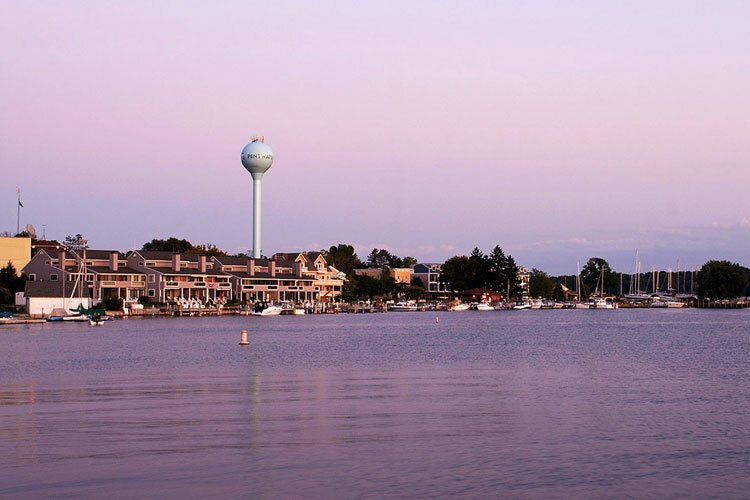 Located on the sandy fresh-water shores of Western Michigan, Pentwater is a charming village of boutique shops, art galleries, restaurants, and mast-filled marinas, reminiscent of New England. Perched on the edge of both Lake Michigan and Pentwater Lake, the town serves as one of the best beach destinations in Michigan. For visitors to the area, Pentwater offers a host of activities for adults and children alike. The lakes and rivers of the region are ideal for fishing, boating, sailing, water skiing, and other water sports. Find the perfect Pentwater & Silver Lake vacation home rental - browse by map. 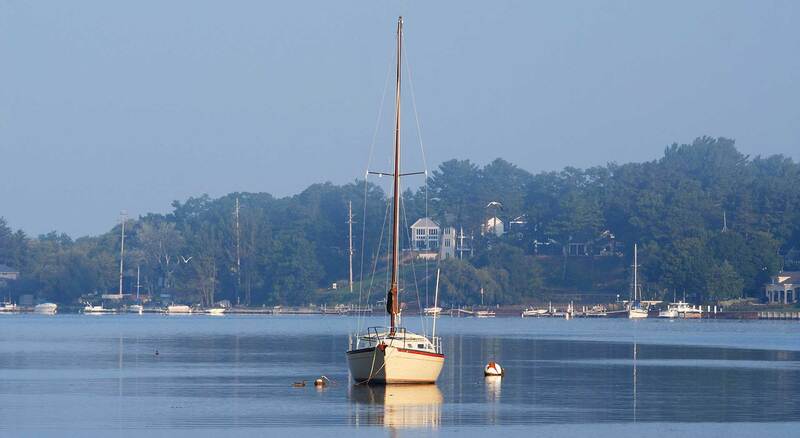 Find a charming Pentwater bed and breakfast for your romantic retreat. A favorite way to stay - campgrounds in and near Pentwater are numerous. Pentwater has many boutique shops - clothes, food, sporting goods, toys, souvenirs. Browse Pentwater art galleries & antique shops - a favorite summer pastime. Choose from more than a dozen Pentwater area restaurants and bars. 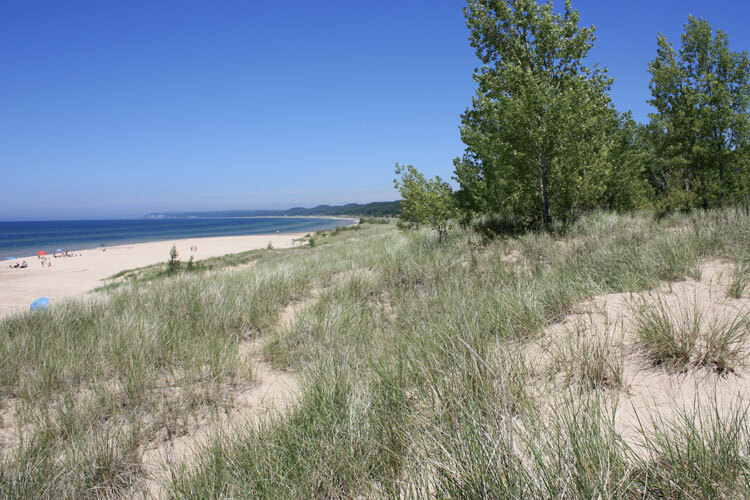 The beautiful Charles Mears State Park public beach is the most popular reason to visit Pentwater during the warm summer months. With soft-sand coastlines, wind-swept dunes, freshwater, and some of the most amazing sunsets to be found anywhere, Western Michigan beaches are among the most beautiful (and safest) in the world. Be our guest – find out for yourself. Pentwater is more than a quintessential, old-fashioned, laid back community with a rich history on the shores of Lake Michigan. It’s more than an area featuring a 500-acre inland lake fed by a vibrant river. And it’s also more than rows of downtown businesses offering an eclectic mix of shops, places to eat, and a Village Green with a bandstand that’s the centerpiece for many fun events. What does Pentwater mean to you? We Asked. Pentwater is peace. It's my escape, my paradise, my childhood memories. I grew up camping there every summer, and now as an adult I camp there every summer. As soon as I pass the River Barn on Monroe Rd, my blood pressure drops. I sigh a soothing breath. I miss it everyday that I'm away. Pentwater is every season, every holiday, to me. It's fun, pleasant, and protective all at the same time. Being anywhere in Pentwater rejuvenates my spirit! The best beach for a sunset! Family memories of the Belly Up, camping, quaint cottages and great shopping. We love spending our Summers in Pentwater! A family destination!! Where memories are made, sunsets, great shopping, band concerts that bring people together, fishing with the locals, ice cream for days!! A community of peace and relaxation. Respite from a crazy world, the rhythm of beautiful sunrises and sunsets, hammock time and beach walks with my family or friends. Nothing like Lake Michigan to realign your priorities. So many memories with our kids when they were young and we continue to make memories now that they are adults... We have traveled to many beaches all over the world. We have found places that come close, but never one that tops Pentwater!! A jewel in our back yard... blessed! It was magical! Camping with our 3 young grand daughters - when prior years we camped with our daughter. Just magical memories and love. Priceless!!! Our getaway from reality, where we can act like tourists and take in the beautiful sunsets, the wonderful shops and restaurants and even camp every summer... and we only live 10 miles away!